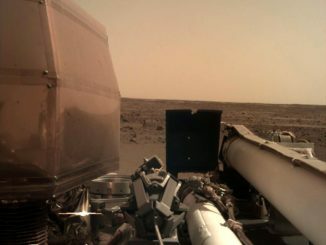 NASA’s InSight spacecraft plunged into the rarefied atmosphere of Mars at a speed of more than 12,000 mph Monday and braked to a gentle touchdown, setting the stage for a two-year surface mission to probe the planet’s deep interior. 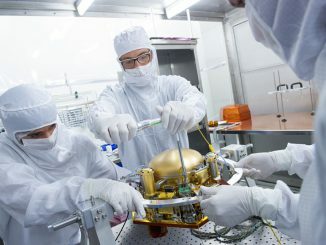 A balky interplanetary seismic instrument that ran into technical problems in 2015, forcing a two-year delay in the launch of NASA’s InSight lander to Mars, cleared a major test last month after engineers redesigned part of the sensor package, boosting confidence that the mission will be ready to blast off in May 2018. Some of the final results sent back by ESA’s Venus Express before it plummeted down through the planet’s atmosphere have revealed it to be rippling with atmospheric waves and, at an average temperature of -157 °C, colder than anywhere on Earth. The aerobraking experiment has improved our knowledge of our planetary neighbour and holds great promise for ESA’s forthcoming ExoMars mission. 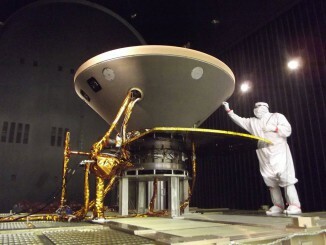 The InSight Mars lander has won a reprieve from NASA’s top managers after persistent problems with one of the probe’s science instruments caused the mission to miss a narrow launch window planned for this month. 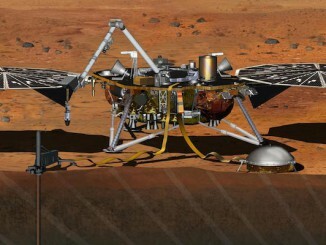 NASA is close to deciding whether to spend an extra $150 million to send the InSight lander to Mars in 2018 or cancel the mission after an instrument problem made the spacecraft miss a launch opportunity this year, with a verdict on the project’s future expected within weeks, officials said. 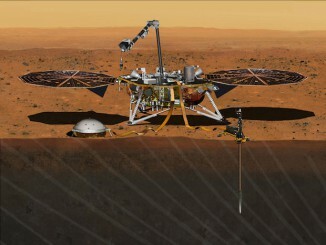 Persistent problems with a seismometer instrument package will keep NASA’s InSight Mars lander from departing for the red planet during a March launch period, and officials said they will consider shelving the $675 million project if the issues prove too costly to fix.